The grass today was a bed of Autumn leaves following the winds. ..and the silk inside a chestnut shell. All these things I love so well. The last two days have given me time to myself; time to reflect and time to look ahead. I blew the dust of the sewing machine and dug into the depths of this blog for some sewing and craft ideas. 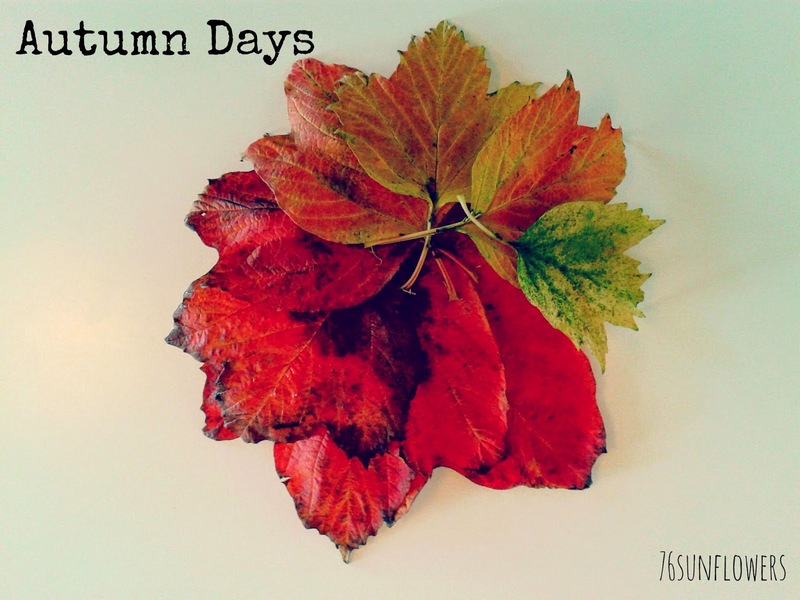 I spent some time reading through past posts, and with a change in blog name, have noticed a shift in focus - I miss my sewing and craft, and I miss the writing. I mustn't forget that I love these things. Having finally stepped out into the world of photography beyond my mobile phone camera I wanted to personalise my prized possession. 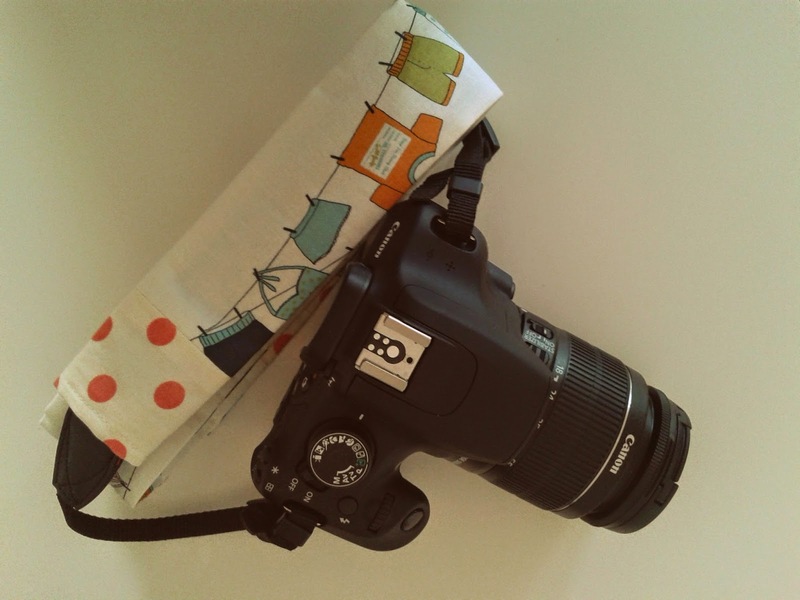 I made a camera strap cover for a blogging friend back in 2012 and posted a basic 'how to' here - which I am glad to say I managed to adapt to make it fit for me. 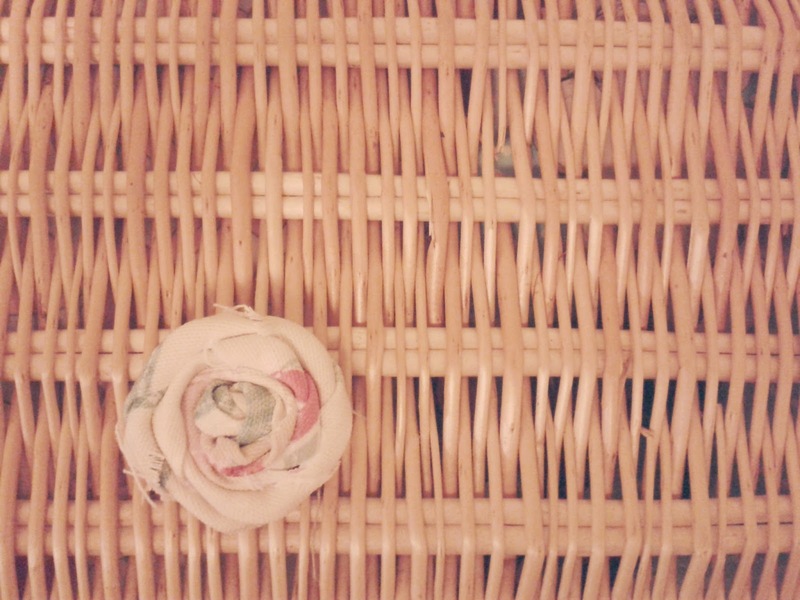 My girl wanted to do some crafty bits with me too last night so we scrolled through my craft blog posts and found the fabric flowers. She wants to use them to make her own fabric bookmarks for her teachers for Christmas. Again, looking back on the blog we found the perfect tutorial for those! So, some good can be found in looking back and there is nothing wrong with repeating some things. But now I am going to look forward - do those things again that I used to love, find some time to sew and create, find some time to write.